The Tribuiani Law Firm is a client-based law firm. We have built a strong reputation for delivering skilled experienced legal counsel to individuals, professionals, businesses, trusts, and estates. We understand the pressures that our clients are under, and we have the knowledge and experience needed to resolve their cases in an efficient manner. Our firm provides legal services in the following areas of law: (1) wills and trusts; (2) probate estate and tax planning; (3) legal counsel for personal representatives and/or beneficiaries of the probate estate; (4) legal counsel for trustees and/or beneficiaries of the trust; (5) foreclosure defense; (6) debtor defense and protection from lenders and their debt collectors; (7) other areas of law, including, personal injury claims of assault and battery, elder exploitation and abuse, social security disability claims and appeals, business startups, and other areas of general practice. We are dedicated to providing legal services that will preserve and protect your assets, develop an effective estate tax strategy, and transfer your assets to your intended beneficiaries when you die. These are just some of the goals that we can help you accomplish through the proper estate planning documents including but not limited to well drafted will, durable power of attorney, trust agreement and/or health care directive and designation of health care surrogate. The Tribuiani Law Firm can draft your will to make sure that your intended beneficiaries receive your assets, while avoiding those you do not wish to benefit from your death, and to provide you with an effective estate tax strategy. Likewise, a durable power of attorney can help you avoid the financial hardship that often accompanies the unexpected tragedies of life. Similarly, a properly written trust agreement can help you reduce costs and delay of probate, control the administration of your property after you pass away, and may even protect your assets and improve your tax strategy, depending upon your circumstances. Contact us today for an estate plan to meet your needs. If you do not plan ahead, you could lose a substantial portion of your estate to taxes and creditors, depending upon when you die and where you reside at death. There have been many changes to the estate tax code over the years, and you can expect many more on the horizon, so contact contact our firm to speak with an attorney with experience in estate tax planning and learn how you can benefit from the current tax code. The current tax code could provide you more than $5 million in tax exemptions, and any unused portion of the first spouse to die may be transferred to the surviving spouse by a process known as portability. See the American Taxpayer Releif Act (ATRA) of 2013. In order to complete the portability process, however, the surviving spouse should file IRS Form 706, even if the deceased spouse's estate will not be taxable. An attorney with our firm can prepare all of the tax forms needed to complete this process on your behalf. The State of Florida currently does not collect estate taxes from a Florida probate estate, which is a generous benefit to those who are domiciled here. If you have moved into a Florida residence with the present intent to make that residence your permanent home, then you may avail yourself of those protections. If you would like to see whether and/or how you and your beneficiaries can benefit from Florida residency, please contact the Tribuiani Law Firm and schedule a meeting today. When someone you love passes away, it can be emotionally overwhelming and physically exhausting. The Tribuiani Law Firm is committed to guiding you through the probate and trust process one step at a time. Whether you are a personal representative, trustee, or beneficiary, the Tribuiani Law Firm is a full-service law firm dedicated to providing the highest quality representation and personalized legal services to each of our clients. Please contact us to have an experienced attorney guide you through this process one step at a time. In Florida, the personal representative must have a lawyer to navigate the probate process which is wrought with deadlines and paperwork, much of which is subject to review by the probate judge. Without legal representation you may be needlessly exposing yourself to personal liability for many fiduciary duties and responsibilities including but not limited to filing death certificates and wills, providing legal notice to beneficiaries and other interested parties, ascertaining and negotiating with creditors who claim to be owed money from the decedent, publishing legal notices in the newspaper, filing tax returns, and distributing assets in accordance with the order of priority set forth under Florida law. If you do not proceed in accordance with the law, you may be held personally liable. If you are the beneficiary of an estate or trust, please contact our experienced legal staff to get you the share of the assets to which you are entitled. We will quickly and efficiently get you all of the documentation and information to which you are entitled, calculate your exact share of the assets, and determine approximately how long it should take for you to receive your share. If you do not receive your full share of the assets, or the information to which you are entitled, then our firm will create the strategies and solutions needed to resolve your case in an efficient manner. If a settlement cannot be reached, an attorney will aggressively represent you at all stages of the litigation process. The Tribuiani Law Firm represents buyers and sellers of residential real estate throughout the negotiation, contract, and closing phases of the process. We also represent renters who wish to enter or break a lease agreement, as well as, owners of residential property who wish to lease their real estate. Whether you are buying, selling, or renting, the firm can help you get the most out of your real estate transaction. The Florida homestead laws can be a "legal cameleon" (brief of the Real Property Probate & Trust Law Section of the Florida Bar, as Amicus Curiae, McKean v. Warburton, 919 So.2d 341 (Fla. 2006)). Fortunately, the Tribuiani Law Firm keeps abreast of the evolving area of legislative changes and court interpretations, and will provide the legal counseling you need to take full advantage of our Homestead laws. Whether you are falling behind on your credit card or mortgage payments or facing legal proceedings, our firm can help you assert your legal rights and regain your financial freedom. Lenders must abide by very specific rules of procedure and administrative orders in order to obtain a judgment against your assets or foreclose on your home, and the earlier that you hire a lawyer, the better your chances of successfully defending a suit. The Tribuiani Law Firm has built a strong reputation for working diligently to empower each client with the many protections granted to Florida residents against creditors and collection agents who seek to circumvent the rules of law. We understand the financial pressures that our clients face, and are dedicated to providing an asset protection plan to address their asset selection, negotiations, dismissal of defficient law suits, final settlements, satisfaction of debt, judgment liens and attachments, credit reports, unlawful collection practices, and potential taxes associated with cancelled debt. Tribuiani Law Firm is a full-service civil litigation firm committed to providing the highest quality representation and personalized legal services to each of our civil clients. If you have been injured in an assault and battery or are the victim of elderly exploitaiton or other negligence, please do not hesitate to contact our firm. Vicitms have rights under Florida law and an attorney will arm you with the tools you will need to recover damages and seek justice. 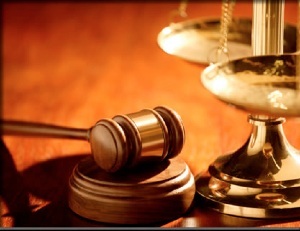 Our law firm will represent you in all stages of the litigation process. Our law office is conveniently located in Palm Beach Gardens, Florida, adjacent to The Gardens Mall. The Tribuiani Law Firm services all communities in Palm Beach, Broward, St. Lucie, Martin, and Miami-Dade Counties in the State of Florida. This includes the cities of Jupiter, Palm Beach Gardens, North Palm Beach, West Palm Beach, Palm Beach, Lake Worth, Boynton Beach, Delray Beach, Boca Raton, Royal Palm Beach, Wellington, Fort Lauderdale, Hollywood, Davy, Pompano, Port St. Lucie, Stuart, and other cities in these counties. In addition, the attorney of record is admitted to practice in New Jersey, New York, District of Columbia, Southern District of Florida, and the United States Supreme Court. Hours of operation are Monday - Friday, 8:00 AM to 6:00 PM. Evening and weekend appointments are available upon request. If you are elderly or have a disability and prefer not to travel, arrangements can be made upon request to meet in the comfort of your home. The information on this website (www.TribuianiLaw.com) is for general information purposes only. Nothing on this or associated pages, documents, blogs, comments, answers, emails, or other communications should be taken as legal advice for any individual case or situation. This information on this website is not intended to create, and receipt or viewing of this information does not constitute, an attorney-client relationship. ©2010 Tribuiani Law Firm, all rights reserved.